Science fiction writer Joe Haldeman is a writer’s writer. He’s one of the people other writers go to when they want to learn more about the literary craft. While it is not uncommon to find a science fiction writer teaching other writers the art of writing science fiction, it’s less common to find a science fiction writer teaching scientists “to be” to write science fiction, but that’s exactly what he does at the Massachusetts Institute of Technology (MIT) – one of the premiere science and technology universities in the world. However, there is more to Haldeman than his role as a writer or as a teacher. Haldeman lived through the Vietnam War, he attended the University of Iowa’s Writers’ Workshop when it wasn’t cool to write science fiction in an MFA program, and he has won a host of literary awards for his work. Even more remarkable, than his extensive list of accomplishments and successes, is that he did it all while maintaining a happy and strong relationship with his wife, Gay. It was a sincere honor to interview Joe Haldeman about his career as a writer and teacher, and I hope that this interview, at least in some small way, has captured the depth of knowledge and experience that he has acquired over his career, spanning 40 years and counting. Joe, you earned a B.S. in astronomy from the University of Maryland. Then, several years later, you decided to get an MFA in creative writing from the Iowa Writers’ Workshop. What inspired you to want an MFA? I was curious about what you could learn in that environment, but it was mainly about the money. With my GI Bill and two years’ income as a graduate assistant (and Gay’s income as a graduate assistant in linguistics), we could live pretty well even if I only sold short stories. What I didn’t realize was that the MFA would eventually lead to a professorship at MIT. At the time, I wasn’t thinking about an academic career; if I had been, I would’ve gone for a Ph.D. in astronomy. You were drafted into the Vietnam War in 1967, how did that experience inform your writing and your teaching? A war gives you at least one novel’s worth of subject matter; it gave me my first novel and, later, my first science fiction novel. Even later, my longest and most ambitious novel, 1968. I don’t know that the war itself did much to inform my teaching, but having been a soldier made public speaking relatively easy. I used to be really nervous about it. But hey, what can the audience do to you? Chuck a grenade at you? Been there, done that. Of all of the works you have written, looking back, what piece would you write differently today? What would you want to change about it? You are a voracious traveler. If you could visit any time, anywhere in existence, where would you most like to go and what kinds of things would you like to discover? I think in terms of people rather than places. I would love to sit and listen to Samuel Johnson and Boswell chatting, or watch Shakespeare in the rehearsal of plays he wrote. Einstein talking astrophysics with Hubble. Sample the charms of a world-class seductress like Mata Hari or Cleopatra. Work in the kitchen with Charles Beard and enjoy the results. Watch Louis Armstrong find his new voice in Chicago. Step onto the moon with the other Armstrong. You have lived in a variety of locations in your life. How did you end up in Cambridge, teaching creative writing at MIT? Well, we’re only there for 3.5 months of the year, and otherwise live in Florida. I got there more or less by accident. Frank Conroy, who was a professor at MIT, had visited the University of Iowa in the early 80’s, and someone mentioned that someone who’d graduated from the workshop had become, of all things, a science fiction writer. A few weeks later, Frank was in the MIT Writing Department office and overheard someone complain that all the fiction students were writing science fiction, and none of the faculty knew anything about it. He said they ought to call Iowa and find out who and where I was. They called me in Florida and I wound up doing a one-year visiting professorship. They offered me a full-time position, but I didn’t want that, and compromised by agreeing to be an adjunct professor, coming in for one semester a year. You have taught quite a few science fiction writing workshops during your career. What is it like teaching creative writing to MIT students? Are there any special challenges or benefits? The big benefit is that no one is stupid. It’s a real world-class challenge, trying to teach writing to people who aren’t intelligent. The students at MIT may not be natural writers – they often aren’t interested in writing at all – but if you tell them how to do something they will understand, and give it a solid shot. One negative thing, related, is that I’m unlikely to find students who’ve always wanted to be writers. (They all went down the street to Harvard.) Even teaching in a small community college, I’ll have several people in class who would give anything to be able to write for a living. At MIT, not so much . . .
What unexpected event surprised you most in your career, either writing or teaching? What was it about that event that affected you? Hollywood. THE FOREVER WAR made me contacts in movies and legitimate stage that made life a lot more interesting and somewhat easier financially. Movies are a different world from books; even a small movie involves money several orders of magnitude larger than even a successful novel. You meet a lot of different kinds of people, with radically different views of life, and life itself takes on a new pace and color. I wouldn’t want to do it for a living (in fact have twice turned down lucrative studio writing jobs), but as a sort of out-of-body experience it’s like nothing else. The most interesting thing I’ve learned about teaching is how common writing talent is. In most classes I have one or two or even ten people who have enough talent to write for a living. Whether they can handle the difficult aspects of apprenticeship, and whether they can keep coming up with interesting stuff to write about – those are qualities unrelated to talent. What has been the most rewarding experience of your career as a writer or teacher? More so than other careers, perhaps, writing is a succession of “firsts” – first story published, first novel, first awards, first movie rights – and it’s something that gets you through lean times. You never know when lightning is going to strike. For new writers who want to focus on science fiction specifically, is there any advice you can give them about writing in this genre? Understand that it’s crowded. There’s less opportunity in SF than there was when I entered the field, and a lot more competition. If you’re good, you’ll get published, and if you’re lucky you’ll be able to make a living at it. If you’re real lucky, you can make a good living. It would be smart to have something to fall back on. Marrying someone with serious money is a good career move. Learn a trade, like hit man or safecracker, that leaves you a lot of time to write. If you’re a student, I’d recommend getting a degree in something other than writing. Everybody who becomes a writer learns how to do it by reading. If you pursue studies in physics or social work or art criticism, you’ll have things to write about that fall outside of common experience, and that’s especially valuable in science fiction (but isn’t a bad idea for any kind of writing). I’m finishing up EARTHBOUND, the third book in the Marsbound trilogy, and have begun preliminary writing on the next two, tentatively titled WORK DONE FOR HIRE and PROJECT PHOBOS. A couple of days ago I told the editor of F&SF that I’ll do a short story based on a cover painting, and the painting looks sufficiently weird to make it an interesting project. Joe Haldeman was born in 1943 in Oklahoma City, Oklahoma and grew up in Anchorage, Alaska and Bethesda, Maryland. In 1967, he received his B.S. in astronomy from the University of Maryland. He was drafted into the Vietnam War in 1968 where he earned the Purple Heart and other medals for his service. After his tour of duty, he returned to the University of Maryland to do some graduate work in math and computer science, but he left without a degree in order to pursue his writing career. In 1975, Haldeman attended the Writer’s Workshop at The University of Iowa where he received his MFA in creative writing. He has taught science fiction writing at MIT since 1983. Over the years, Haldeman has also taught at numerous other writing workshops such as Clarion, Clarion West, SUNY Buffalo, and Princeton just to name a few. 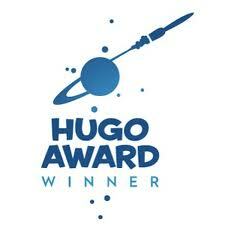 Haldeman has won a staggering number of awards which include the Hugo, Nebula, and Ditmar Awards as well as the Galaxy Award for “Science Fiction and Spirituality,” the Rhysling Award for best science fiction poem, the Italian “Futuro Remoto” Award, the World Fantasy Award, the John W. Campbell Award, and the James Tiptree Award. He and his wife Mary Gay (Potter) Haldeman have been happily married since 1965 and spend their time living between Gainesville, FL and Cambridge, MA when they are not traveling the world. This entry was posted in Books and Literature, Interviews, Science Fiction, Uncategorized and tagged arts, Charles Beard, Forever War, Iowa Writers Workshop, Joe Haldeman, Master of Fine Arts, Science fiction, Vietnam War. Bookmark the permalink. The most Zelazny-like of yours I read. Kudos!!! !